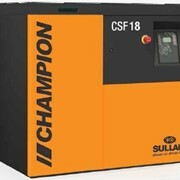 The Air Compressor- BOSS 35CFM/ 7.5HP Air Compressor are designed for the heaviest industrial and commercial environments. Compressed air is an indispensable source of operating and processing power in all areas of industrial and technical production. The compressed air is generated by raising the pressure of large volumes of ambient air. Usually this air contains harmful substances, such as dirt particles and moisture in the form of water vapour. The water vapour condenses and can lead to operational breakdowns and considerable but avoidable costs. 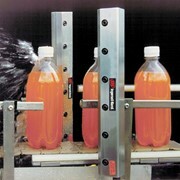 To prevent production downtimes compressed air must be clean, dry and oil-free. Donaldsons Refrigeration Dryer and DF Pre & Post Filter Packages for compressed air providing lower operating costs in a compact and user-friendly package. The BOSS Super Duty compressors are designed for the heaviest industrial and commercial environments. With low revving cast iron pumps, High efficient electric motors, extra-large air receivers, German made switches, Japanese fittings, oil filled gauges these air compressors are built to last. 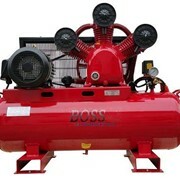 Boss compressors are supplier of premier and superior compressors in Australia. 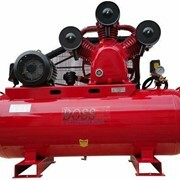 Located in Brisbane, Boss Compressors are known to manufacture quality industrial strength products with a wide range of equipment, parts and components of compressors for sale at an affordable price. 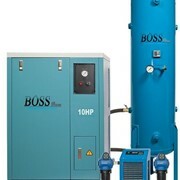 Boss Compressors provides personalized customer service to all the clients. They provide great advice about how to use the product, have a prompt shipping of ordered air compressors and has a comprehensive after sale support. 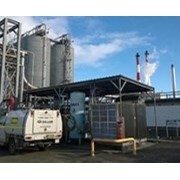 They stock compressors for all type of machinery and deliver anywhere throughout Australia. Some of the best selling product includes Diesel Air Compressors which are very powerful and efficient and which can be used for applications ranging from industries to agriculture. 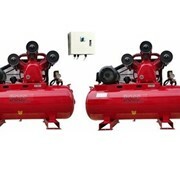 Quality and Powerful Petrol Air Compressors are available at cheap price that suits most needs of an industry. 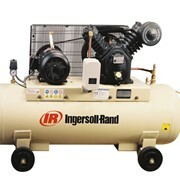 Silent Air Compressors are specially built for sound proof housing by having a unique fan forced, ducted cooling system. They are fitted with shock absorbers to ensure low noise and vibration. 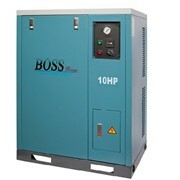 Boss Compressors also provide 3 Phase Air Compressors that are highly efficient and low noise. My compressor has failed! Repair or replace? Mention IndustrySearch so Boss Compressors can best assist you! Get a callback from an expert at Boss Compressors to help answer your questions.